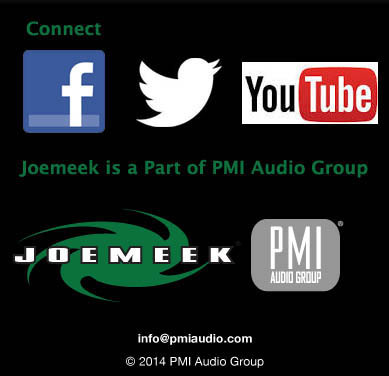 ALL ABOUT THE MAN NAMED "JOE MEEK"
Conventional compressors used to be called 'leveling amplifiers'. They were designed originally to reduce the dynamic range of all program material so that it would record properly onto media that had limited range such as optical film and vinyl disc. While experimenting with leveling amplifiers, engineers found that the application of compression had an effect on the perceived sound of music. The changes were subtle but definite; and often the least 'scientific' compressors sounded best. But equipment manufacturers over the years have been forced (by specifications) to satisfy these 'leveling amplifier' requirements and have tried to sell theoretical perfection as being most desirable. Engineer users have then tried to combine their use as leveling amplifiers and as effects units. This has been a completely wrong approach and has only served to create bad reputations for a number of products because, although they behave beautifully as engineering devices, they actually sound unmusical. In short, up to now no-one has truly understood either the engineering requirements of compression; or compression itself. The human ear has a fantastic dynamic range; it hears and can interpret sounds from as low as a pin dropping, up to being next to a pneumatic drill. In fact, there are mechanisms in hearing which act as 'leveling amplifiers' and allow us to be able to hear and interpret this extreme range. When very loud music is heard, there are two main mechanisms that allow us to make sense of the sounds. These are real biological compressors; the first one is 'software' affecting the way the brain interprets signals from the inner ear, the second is hardware' in the way the electrochemical impulses are passed from the inner ear. First the 'software compressor' in the brain softens the effect of the loud sounds. This effect is fast acting and not long lasting. It acts over the whole frequency range and its effect is to soften the very loud peaks of noise or sound, if the sound is removed or stopped suddenly, then your 'ears' (actually your brain) recovers in just a couple of seconds to full sensitivity. Because we all live with the effect all our lives, it is rarely noticed. The effect takes time to act (the attack time) and has a relatively slow recovery time; one that can easily be mimicked electronically. The JOEMEEK compressor mimics this effect and instead of the listener's ear and brain doing the compression, the Joemeek pulls down the sound at precisely the right moment and amount to fool the ear into thinking that the sound is louder than it actually is. But doesn't any compressor do that? Actually no. Although there are many compressors on the market that can be set to the correct time constants to mimic the effect, the actual gain reduction is never done properly. The problem is that the human ear is not an engineering device, it's non-linear in all respects. The psychoacoustic compression effect is like turning down the volume for an instant; but once there, the relative volumes of sound are NOT affected further. Good Engineering Practice says that a compressor should work logarithmically; for a certain increase of volume, the output volume should rise proportionally less: That is, for a 2:1 compressor, an increase of volume of 10dB at the input should produce only 5dB increase at the output. a continuous process where the more you put in, the more it's pushed down. The JOEMEEK compressor just doesn't work that way. As volume increases at the input, a point is reached where the compressor starts to work and the gain through the amplifier is reduced. If the input level keeps rising, gradually the gain reduction becomes LESS effective and the amplifier goes back to being a linear amplifier except with the volume turned down. And this is precisely how the human ear behaves! So the 'ear' is fooled into thinking that the JM compressed sound is louder than it really is; but without the strange psychoacoustic effect of 'deadness' that all other compressors suffer from. We had a problem with labeling on the JOEMEEK compressor. What could we call the ratio switch? It's not a true ratio, it's more a 'compression amount' control. At position 1 it just allows a little bit of gain reduction, at position 4 it's almost a limiter! It's unscientific but with a ratio control where the actual mathematical ratio varies with volume level and even musical content, we were stuck with 'slope'! The second form of compression in the human ear is mostly mechanical. It involves certain parts of the inner ear being suppressed so that they do not respond to the large vibrations caused by loud noise. The effect is much slower to take effect and can take days to recover. This is the familiar 'deadening' effect that we all get in extreme cases when going to a rock concert. One of its effects is to change the way that we perceive different frequency ranges. Basically, the louder the sound, the more we hear of the HF and LF parts because our sensitivity to the mid ranges is reduced. The Joemeek compressor, because of its bending of the loudness contours has already fooled the ear into thinking that the sound is louder than it really is; the bonus is that the mid ranges seem to jump forward and the clarity improves because the mechanical changes that the brain thinks have taken place in the inner ear, have not happened. With conventional compressors the 'fooling' effect is not so complete and the ear perceives something that is not quite right. Consequently, this additional clarity is missing and the whole effect is one of muddy deadness. AND this is common in all other compressors, particularly the newer digital dynamics tools packages; they just don't work properly! Of course the compression curves tell only part of the story. There are also subtleties of the time constants of attack and release which have enormous effect on the musicality of the sound. The attack time produces audio 'punch' that again is a psychoacoustic effect, different attack times mimicking different levels of human biological compression. 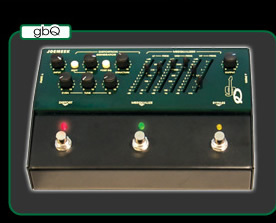 Release time is even more important to maintaining illusion; the Joemeek compressor uses a compound release circuit that reacts quickly to short bursts of volume, and less quickly to sustained volume, this helps to maintain the transparency of the sound. The values and ranges of these timings were chosen by experiment using wide ranges of program material. Because of these intentional effects produced by the compressor, it makes a perfect tool for general enhancement of overall mixes to 'brighten', 'tighten', 'clarify' and catch the attention of the listener, a function that is never recommended for conventional VCA compressors. Some historic compressors from the 1950s were used creatively by Joe Meek and other notable engineers of the past. They achieved some of these effects and the compressor models have become venerated for their 'sound'; the JOEMEEK compressor achieves more, and does it by design. Anyone who has tried to record a human voice has found the dynamics of real world speech and music are impossible to handle with a 'linear' recorder. Even if the signals do not overload, the final result is a recording that seems to be thin, quiet and too wide in dynamic range. Early analog tape recorders had a built-in answer to the problem. By slightly overloading the record channel, it produced (predominantly) a 2nd order harmonic distortion and some volume compression. This made recordings sound 'warm' and reduced the problems of dynamics. Unfortunately, modern digital recorders don't react that way. They produce an accurate reflection of the input with all its built in problems. Most engineers know about these problems and correct them with the use of equalizers (to change the psychoacoustic distance from the microphone), limiters (to reduce dynamic range at the louder end) and enhancers (to sparkle it up). 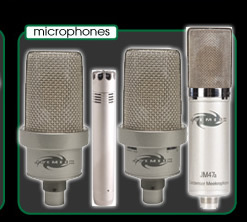 Whether you are recording with analog or digital formats, you will find it is extremely difficult and time consuming to get a true 'vintage' warm and cozy sound. Joe Meek, in common with all engineers, experimented with the limited facilities of the time (1960 - 1965) and came up with a way of enhancing the 'tape bend' effect with compression. The compressor he used was primitive at best, but coupled with the compression distortion provided by the valve 'tube' tape machines he had, the result was voice and music sounds that were unique and Joe Meek sold records by the millions. While significant improvements were made in the way Joe's early compressors worked, JOEMEEK Compressors are now a vital component to today's engineers, and are used in top studios all over the world. The consensus from these famous studios, producers and engineers is that the sound of Joemeek Compressors is right, and really does recreate the warmth and power of the much sought after 'Vintage' equipment without the side effects and the cost.